DAVID LE/Staff photo. 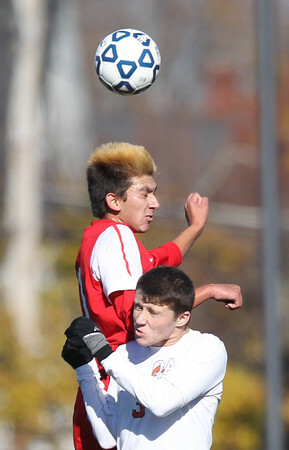 Masco senior Blaise Romanowski leaps over Oliver Ames senior Max Ahern to win a header. 11/21/15.